I'm baaaaaack! HAPPY, HAPPY NEW YEAR to you and yours. I hope you had at least a little bit of a break over the holiday/festive period. I'm feeling rather inspired, which is a good thing as I want to achieve so much this year. If you know the children's book A Squash And A Squeeze by the always wonderful Julia Donaldson (not to ignore the fab illustrator Axel Scheffler - they're such a great team), you'll know what I'm talking about when I say that taking down the Christmas decorations and tree, made me feel like I can breathe again. And suddenly I feel inspired to get stuck into all the nearly finished jobs that will inch me closer to 'completing' some rooms. But you know, they're never really finished, right? Anyway, one of the things I'm working on is a new gallery wall in the living room. The piece we had hung there before was never really right. It wasn't big enough on the wall alone, and I had intended to just add to it, but the colours weren't working, so it's now moved to the hallway where it looks great, and we've moved some other pieces around to create a monochrome gallery wall instead on the main wall of the living room. We've hung the three pieces we have, and I've created two pieces which I'll have printed to add to them. There's plenty of room to add to it in the future too, but it will look balanced and work with the five pieces alone for now. I can't wait to get that finished so I can finally show you the room! But enough rambling, what I want to talk about in this post is how to buy 'grown up' art. How you go about buying your art is probably about as personal as what you choose to hang on your walls. Today I want to share how I (or rather we, being my husband Ed and I) go about buying art for our home, and I hope it's helpful, especially if you're thinking about making your first foray into purchasing some grown-up art, a.k.a more expensive art than you've ever bought before. Now please don't get me wrong, there is nothing at all wrong with purchasing affordable art (a somewhat ridiculous phrase - who deems what price to be affordable and to whom? ), and as you may know I make and sell lower priced prints myself, but if you decide you want to graduate and make a higher value art purchase and don't know where to start, this may help a little. When two people are involved, the decision making process is made twice as hard. Even though I get frustrated and annoyed if Ed doesn't like something that I do (why doesn't he know I'm ALWAYS right?! ), I wouldn't actually want to hang anything in the house that he hated, and I know the feeling is mutual. What we're slowly building through our art purchases, is not only a collection, but a tale of our lives together, to hand down to our children one day. For us, what we hang on our walls is pretty important, and we'd rather have a bare wall than a wall with a meaningless mass produced piece of 'art' on it that we don't love. Although our art purchases are a joint decision, they're nearly always initiated by one or the other of us, and discussed (or debated, but if this is the case it doesn't usually end in a purchase), before going ahead. At the moment we both have a piece we'd love to buy, so eventually if/when we have the funds, I don't know who will get to go first! We might have to fight it out with a game of Paper, Scissors, Rock to settle it. You know, as you do with all important decisions in life. 1. If you like it, keep up to date with the who's who of street art. Years ago (and I mean like over twelve years ago), Ed and I went along to a guerrilla gallery in Dalston just down the road from where we live in North London, to see some work by an 'upcoming' street artist called Banksy. Ring any bells? That night, we were too disappointed that we'd missed out on the free drinks to buy any of the original canvases on sale for £20 among the neon pink spray-painted livestock roaming the incredibly loud and crowded warehouse. Had we done the clever thing, and snapped a few up, we'd probably be looking at buying a small flat with the profits. Damn it. Santa's Ghetto also used to be a great way of bagging a limited edition Banksy print for £100, but sadly it I think it stopped a few years back. So pay attention peeps! Keep your ears to the ground so you don't miss out! 2. Buy online. I'm not suggesting making a five grand purchase online by any means, but if you're comfortable with buying lower priced things online, then there are endless options. I'm not going to compile a list, but just a few suggestions that spring to mind are Rock Archive (for timeless photographs of your favourite bands), Pictures on Walls (Street Art), Nelly Duff (Street Art and a bricks and mortar gallery in East London) and Art Space (everything from original abstract paintings to limited edition photographic prints, and everything inbetween). For vintage paintings Ebay is always worth a trawl if you have the time and patience, and Etsy is worth a look too for up and coming artists. 3. Get friendly with the owner of a gallery you like and get on their mailing list. You'll get invited to upcoming exhibitions and private views - a great way to discover artists you may not already know about. Remember, they don't know if you do or don't happen to have ten grand burning a hole in your pocket. If you do want to make a purchase, as long as you're polite and respectful, it's doesn't hurt to ask for a better price. Or perhaps you have a friend that wants to buy something from the same gallery - if you're looking at buying more than one piece, you're in a much better position to negotiate. The Affordable Art Fair (in London in March and June) and the London Art Fair (which is coming up on the 20th of January) are good places to discover galleries you might not otherwise stumble upon, and this is how we ended up purchasing our first piece of 'proper' art. 4. Go Direct. This isn't always an option obviously, but keep in mind that galleries take a 50% cut of anything they're selling on behalf of an artist. Could you contact an artist direct and see if you can strike a deal? Or if they have any pieces lying around that they might want to shift? I've successfully done this before. But remember, they're not obliged to reply, so again, do be polite, and don't be pushy. Good motto for life really, right? 5. Go to an auction. This is my favourite tip, and honestly if you have any interest in art, I think this should be on everyone's bucket list even if you have absolutely no intention of buying. I promise, it's not as intimidating as you might think. I went to an auction at Bonhams here in London about eight years ago on my own and bought a 'shop-soiled' (damaged!) print. Obviously any damage to a piece of art will adversely affect it's value, but it also bought it down to a price we could afford, and it will still hold a certain value in line with what I paid. You wouldn't notice the damage on our piece unless you were looking for it. So if you're considering a shop-soiled piece because you love it, don't let that put you off. 6. Limited edition prints are a brilliant way of getting hold of a piece of art that you love, but can't afford, or it might be that it's just not available. This is a really great way of owning something that is still an official piece. I have recently bought a limited edition, signed and numbered print from one my all time favourite artist's Stella Vine. I could never have afforded the original even if it was available (it's not), so I was so happy to snap a print up. So what are we lusting after right now? Well, all of the pieces in this post, which sadly we don't own. 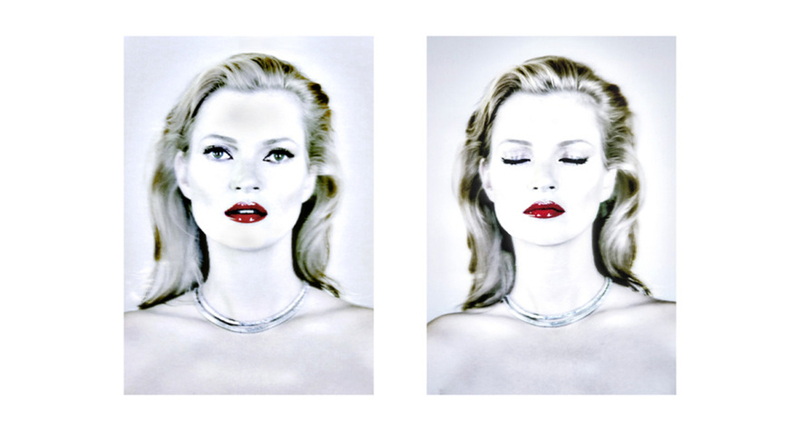 I adore these images of the queen of fashion Kate Moss (She's Light) by Chris Levine. I'm also obsessed with this 70's style photographic print by Stephanie Vovas of Doira Baird. This would look so amazing in our bedroom! 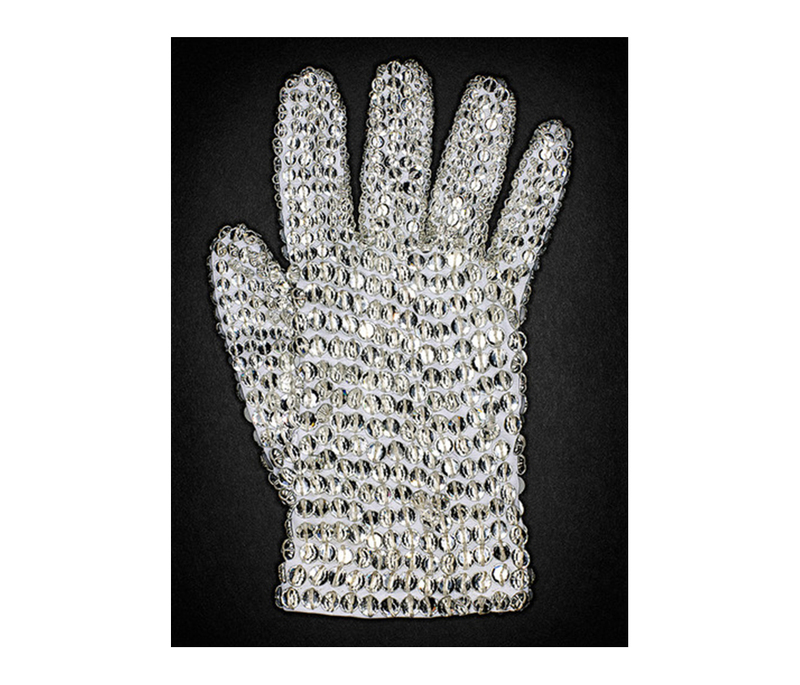 Ed is after this print of Michael Jackson's iconic white crystal glove by Henry Leutwyler. 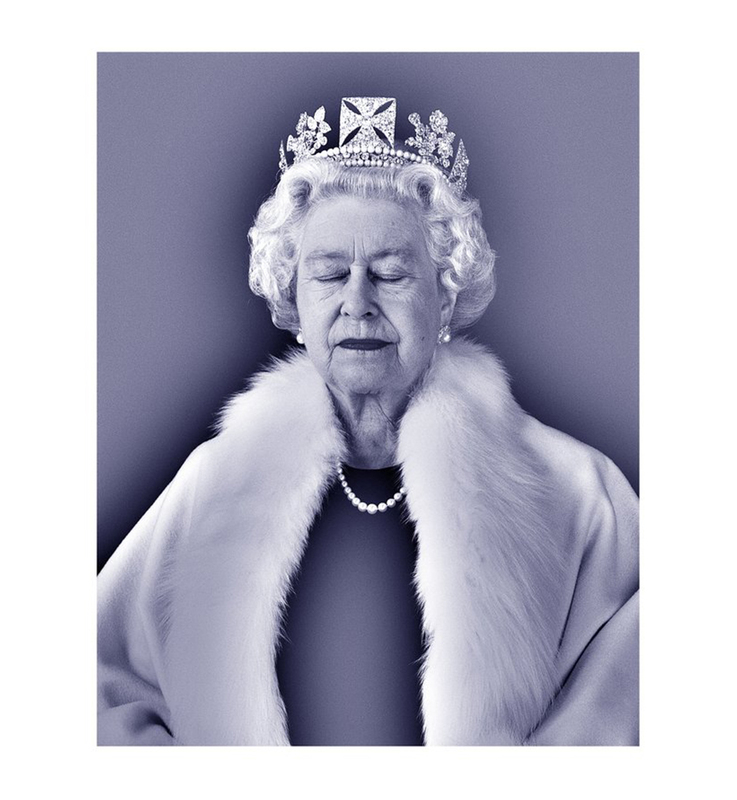 We both love Chris Levine's 'Lightness of Being' images of the Queen of, er, the United Kingdom too. My number one art fantasy though is to have Stella Vine paint a portrait of our family. One day, I'm going to make that happen. I obviously can't show you that one because it doesn't exist, except in my head, so you'll just have to trust me that it's awesome. 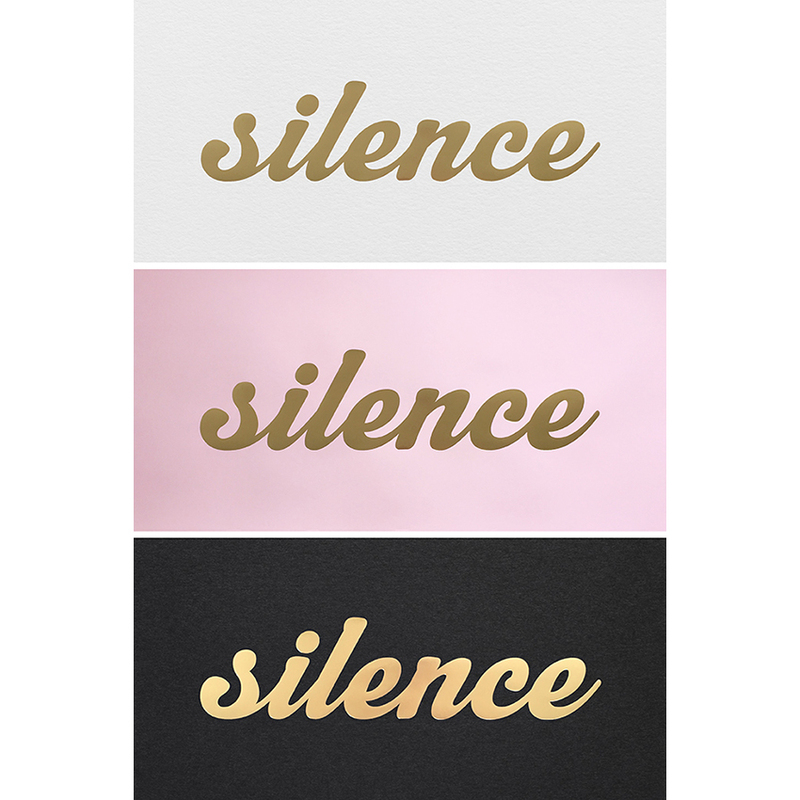 Oh, and one last thing, which I really need to put into practice and not just preach it, which is to MIX IT UP. We all have our specific tastes, but too much of the same thing is a little boring and themey (that’s totally a word, right?). I’m aware that our collection could do with a few abstract pieces to balance it out and keep it interesting. Bianca! Thank you so much for having me in this post! 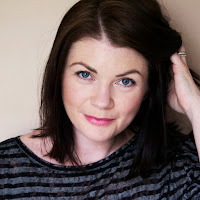 I love what you wrote, and your blog is SO great! I just want to keep reading and reading :) I'm honored to be on your list of art! Hope to chat soon! Happy New Year to you and your family! xox! Really like your blog, was directed to it via Pinterest, the Stella vine prints pin, which I have now ordered for my husband for valentines (allegedly for him obviously, not a self gift in any way ��). Great advice about buying good value but good investment art. Thanks!